Iran blames Israel for rise of radical Sunni Islam, indicates major confrontation with Israel in the near future. You probably didn’t know this, but Judaism is at the basis of the radical Muslim ideology Wahhabism and is responsible for the rise of the Islamic State Jihadist group. This is what Qassem Soleimani, the commander of the Quds Force of the Iranian Revolutionary Guards Corps (IRGC), the division responsible for exporting the Islamic Revolution, claimed during a speech after the Friday prayers in the city of Babol, Iran. “Wahhabism has its roots in Judaism and they are called ISIS, which destroyed two Muslim countries in the region and destroyed 3,000 mosques and killed hundreds of thousands,” according to the Quds commander. The Quds commander also made the case for “martyrdom” and said that this at the forefront was of this ‘culture’. Soleimani’s comments cannot be dismissed as mere rhetoric since he’s working according a carefully crafted plan to expand Iran’s influence over the Middle East. This plan includes the forming of IRGC-style militias in both Syria and Iraq where Soleimani responsible was for the founding of the Hashd al-Shaabi umbrella organization for Shiite militias and the forming of a pro-Iranian government. Another element of the plan is the creation of a land bridge from the Iranian border in the Nineveh Province in Iraq all the way to the Israeli border on the Syrian Golan Heights and the Mediterranean Sea. The plan also includes the transformation of the Sunni-Islamist terror group Hamas into a Hezbollah-like fighting force and the upgrade and expansion of Hezbollah’s missile arsenal. Soleimani’s speech came after Ali Shamkani, the secretary of the Supreme National Security Council (SNSC) in Iran, boasted that Iran had achieved 90 percent of its objectives in Syria. The Israeli punitive strikes (on Syria) have had no strategic impact and the resistance has pressed ahead with its activities,” Shamkani told state-controlled Tasnim News. The Iranian official also warned that Israel had “crossed the red line” in Syria when it repeatedly attacked Iranian military assets and claimed that Iran had dealt “a heavy blow” to the Israeli military. Shamkani then indicated that something big was going to happen in Syria with what the Iranians call ‘the resistance front’, the loose coalition of Iran-backed anti-Israeli terror organizations. “We will soon witness a major upheaval in upgrading the deterrent power of resistance in Syria,” according to the influential Iranian politician. Shamkani also admitted that Iran is seeking a multi-front war against Israel and warned Israeli Prime Minister Binyamin Netanyahu not to start a military action against the Iranian axis because it would end his political career. “If Netanyahu gets entangled in several fronts simultaneously, he will definitely end his shaky political life in the run-up to the elections. I don’t think that he would be so silly,” according to the secretary of the SNSC. Shamkani was only one of a series of Iranian officials which have recently upped their belligerent rhetoric against Israel. Iranian Foreign Minister Mohammed Javad Zarif last week accused Israel of “looking for war” and accused the Jewish State of violating international law by carrying out military raids in Syria. “The risk (of war) is great. The risk will be even greater if you continue to turn a blind eye to severe violations of international law,” Zarif told a security summit in the south-German city of Munich. Zarif accused the United States of having a history of 40 years of wrong choices in the Middle East and of ruining Syria and terrorizing the people of Yemen. He called Netanyahu the “wolf-crier in chief” when it comes to Iran and said his nation was in Syria to “fight terrorism” while claiming Israel was illegally violating Lebanese and Syrian airspace. The Iranian FM constantly ducked difficult questions about the regime’s malignant activities in and outside Iran by indulging in victimization and by using his long memory to blame all the ills in the Middle East on the colonial powers US, Europe and Israel. At the same time, Zarif denied Iran was trying to develop missiles capable of nuclear weapons and said the continuing ballistic missile tests were necessary because Iran doesn’t receive modern weapons from the US. The Israeli leader said that Iran was lying about its activities in Syria and vowed he would discuss the growing Iranian threat to Israel from Syria with Russian President Vladimir Putin in Paris on Wednesday. Iran, meanwhile, tested a new type of cruise missile from one of its submarines this weekend while Zarif promised a “surprise” to US President Donald Trump. At the same time, the IRGC reported foreign attempts to sabotage it’s ballistic missile program. “They couldn’t do a damn thing because we had seen this coming from the start and had reinforced this sector,” Hajizadeh boasted without elaborating. 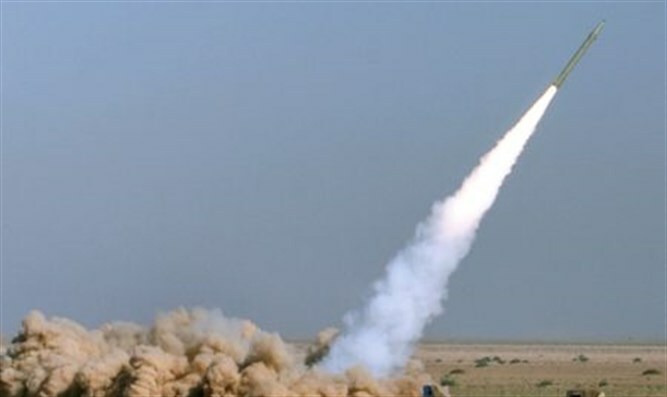 Israel and the US have a long history of sabotage of the Iranian nuclear program and according to The New York Times (NYT) the Pentagon has revived a secret sabotage program aimed at Iran’s balistic missile program. A staggering “67 percent of Iranian orbital launches have failed, an astonishingly high number compared to a 5 percent failure rate worldwide for similar space launches,” according to the NYT. Israel, meanwhile, seems to have developed a weapon which could target Iran’s many underground nuclear- and missile facilities in both the Islamic Republic and Syria (Iran is suspected of having built an underground nuclear facility in Qusayr in western Syria). Rafael Advanced Defense Systems announced last week that it would show a new air to surface long-distance missile which can destroy targets deep underground. The rocket, named ‘Rocks’ will be presented at an air show in India and is “equipped with a penetration or blast fragmentation warhead that is capable of destroying targets above the surface or deep underground in heavily surface-to-air defended areas,” according to Rafael.